Mason & Associates, LLC is a financial planning firm for State and Federal employees. 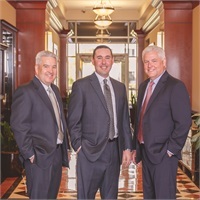 We are a branch of an independent broker/dealer and are fully licensed, which allows our advisors the full range of financial solutions available in the industry. Understanding the nuances of various State and Federal defined benefit pensions separates our firm from others. You do not have to be a State or Federal employee to enjoy our exceptional planning services, but if you are, you absolutely want Mason & Associates on your team. Family-owned with traditional values and fully staffed with professional, courteous employees, we are a company doing business the way you always wanted a company to do business. Mason & Associates, LLC will redefine the financial planning industry, client by client. Understanding that no financial plan can exist without thorough knowledge of a client’s defined benefit pension, Social Security options, and employer benefits must be the starting point for any financial advice. We will manage growth through referrals and change lives through direct relationships, as well as radio-based education. We will never outgrow our unwavering commitment to personalized solutions and to recruiting team members with unquestionable character. We will build a practice that transcends its founders to continue providing consistent financial planning advice for clients and their families. Click here to download our Services & Value sheet.